Gozo Channel is to switch to a new system for ticketing which would cut down on the huge discrepancy of vehicles which cross from Ċirkewwa but never appear to return from Gozo. Sources said the new system should also cut down on the possibility of abuse, whether vehicles being allowed to board without paying, or tickets being taken from vehicles in the marshalling area and re-used. The Times of Malta had reported recently that more than 100,000 cars that crossed to Gozo from Ċirkewwa over the past eight years never went back to Malta. The statistics, issued by the National Statistics Office (NSO), show that between 2010 and 2012, there was a discrepancy of several thousand vehicles – but this was considerably more marked in 2013, when 15,677 vehicles were unaccounted for, with no clear explanation as to what might have happened to them. 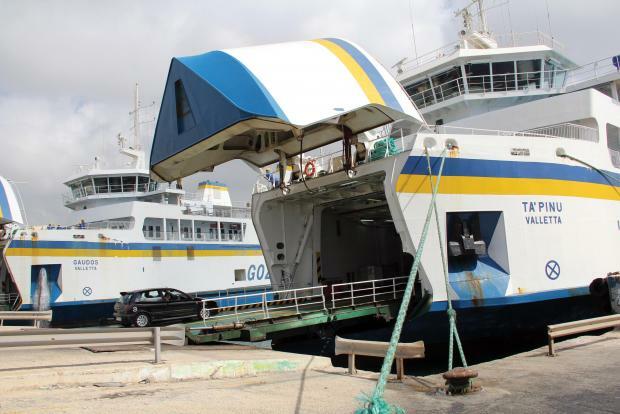 The number of vehicles actually on a vessel is not merely an issue of possibly lost revenue: Gozo Channel’s licence condition say it must must abide with safety regulations which limit the number of vehicles and passengers it can embark. “Vehicles and passengers are currently counted manually, entered into a template, and communicated primarily via e-mail – with communications during the embarkation process being carried out verbally and/or manually. The current process is prone to error,” the tender admits. The new system is one of the reforms recommended by a Change Management Review Board, headed by consultant David Spiteri Gingell, in order to ensure that the ferry operator complied with the requirements of ISO 9001:2015 Certification. The tender, which closes on December 11, 2018, includes an automatic vehicle counting system, covering three quays at the Ċirkewwa Terminal and two quays at the Mġarr Terminal. The government said on Friday that a tender for the new system had been issued which would enable commuters to buy tickets online as well as via a mobile application. The contract should be completed within 14 months from the award of the contract and the specification envisage that in the future, it could be integrated with other ticket systems for museums, entertainment, etc.